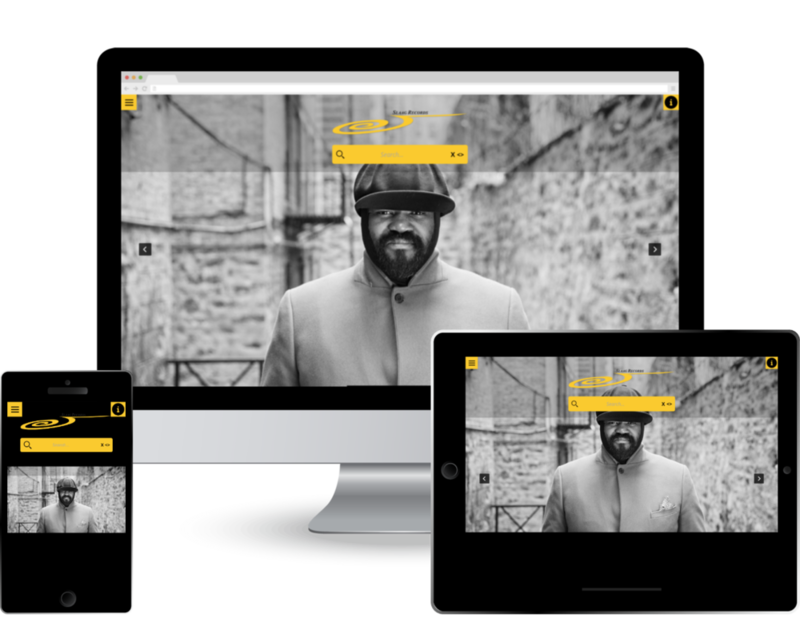 Monkey Elegance Custom Website Design Theme Monkey Elegance is a fluid website design theme perfect for big brands, independent artists, entertainers and personalities. It features a vibrant, full-screen home page, brand-first presentation, simple, easy content access via the unified search, and elegant social media icons. Highly compact, it has sliding drawers holding expandable primary navigation menus, news blog stream, and sitemap. Monkey Elegance is completely responsive, delivering the perfect look on desktop, tablet and mobile devices. It sports unlimited pages, online store and all the modern features you know and expect from Monkey Business, including easy account login, account management tools, contact and helpdesk, FAQs, forums and discussion boards. It's flexible, user-friendly, and stunning. And with the Monkey Business Style Editor, completely customizable to your Brand's precise needs. Greenwich, CT — Wednesday, August 24 2016 — AJIBOYE Monkey Business Agency is pleased to release Monkey Elegance, another custom website design theme for Monkey Business Management System, the all-in-one modern business management solution with unlimited features for one low monthly price. Monkey Elegance is a fluid website design theme perfect for big brands, independent artists, entertainers and personalities. It features a vibrant, full-screen home page, brand-first presentation, simple, easy content access via the unified search, and elegant social media icons. Highly compact, it has sliding drawers holding expandable primary navigation menus, news blog stream, and sitemap. Monkey Elegance is completely responsive, delivering the perfect look on desktop, tablet and mobile devices. It sports unlimited pages, online store and all the modern features you know and expect from Monkey Business, including easy account login, account management tools, contact and helpdesk, FAQs, forums and discussion boards. It's flexible, user-friendly, and stunning. And with the Monkey Business Style Editor, completely customizable to your Brand's precise needs.